Brooklynn reaches a milestone: her first day of preschool! Brooklynn Koeller couldn’t wait to start preschool this fall — and she wasn’t taking no for an answer. As an only child, she was excited to make friends and learn her colors, letters and numbers alongside them. The strong and determined little girl wasn’t going to let her speech delay quiet her determination to be a typical, curious 3-year-old. But, her journey to this point hasn’t been an easy row to hoe. Brooklynn was born with a cleft palate and Pierre Robin sequence, a set of abnormalities of the head and face that consisted of a smaller lower jaw and narrower tongue than average, and an obstruction of her airways. As if taking care of an infant isn’t challenging enough, Brooklynn’s condition made feeding difficult. She had to be fed upright and remain in that position for 30 minutes after each meal so she didn’t aspirate the formula. Then, when she started on solids, food would get stuck in her cleft palate. Her parents would have to squirt saline solution up there to get the food out. As she grew older, her condition affected her speech. Brooklynn only spoke a few words by age 1, and her vocabulary wasn’t expanding. She could say mama and baba for bottle, but she couldn’t say dada or anything that required the use of her tongue. Nearly one year after birth, Brooklynn underwent surgery to correct her cleft palate in March 2015. Brooklynn underwent surgery to fix the flap in the back of her mouth. 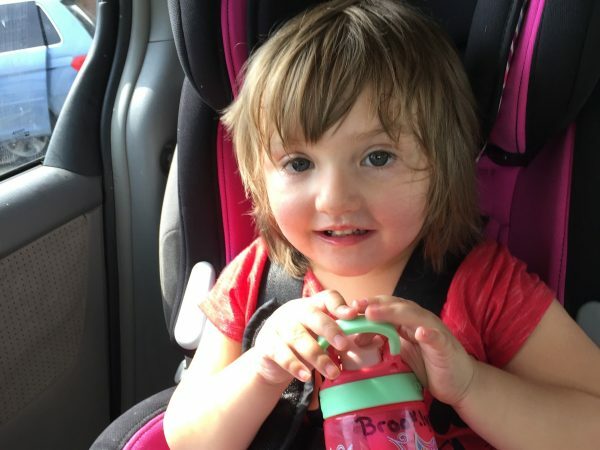 Then earlier this year, Brooklynn was diagnosed with velopharyngeal valve insufficiency. The flap in the back of her mouth was too small and inhibited the body to temporarily close communication between the nasal cavity and the mouth. It presented itself during speech therapy. Once therapists got Brooklynn talking, they realized her speech was highly unintelligible and hypernasal. As a result, Brooklynn faced pharyngeal flap surgery to correct the airflow during speech. To improve her speech and feeding abilities, Brooklynn has been in therapy at Akron Children’s Hospital since she was 18 months old. Today, she spends two days a week in physical, occupational and speech-language therapy. When she began speech therapy, Brooklynn was producing about 15 to 20 words, had difficulty completing tasks, was unable to follow directions, and had a reduced understanding of basic concepts and vocabulary. 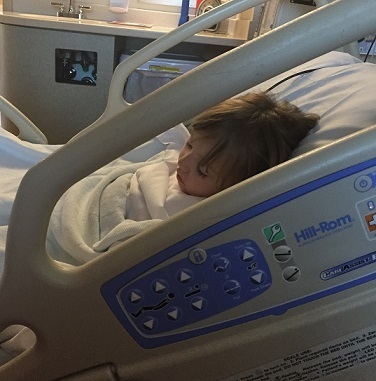 With new diagnoses and surgeries hopefully behind her, Brooklynn’s future looks bright. Her strong-willed personality and curious nature have helped her overcome so many obstacles and keep her focused on making progress.